Tonight’s post-salad entree was small and compact, slices of baked breaded acorn squash on a bed of spinach wilted with shallots and garlic. 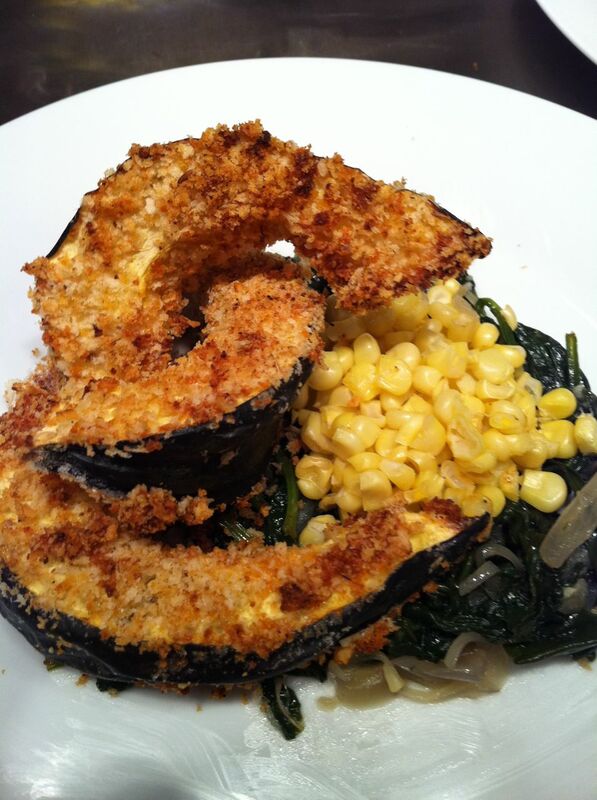 Steamed corn complements the sweetness of the acorn squash. The breading is a combination of panko and corn bread seasoned with fennel, thyme and white pepper.